John D French (1852-1925). He was entrusted with the command of the British Expeditionary Force on the Western Front, however, he showed that he his unqualified in the face of several serious mistakes. 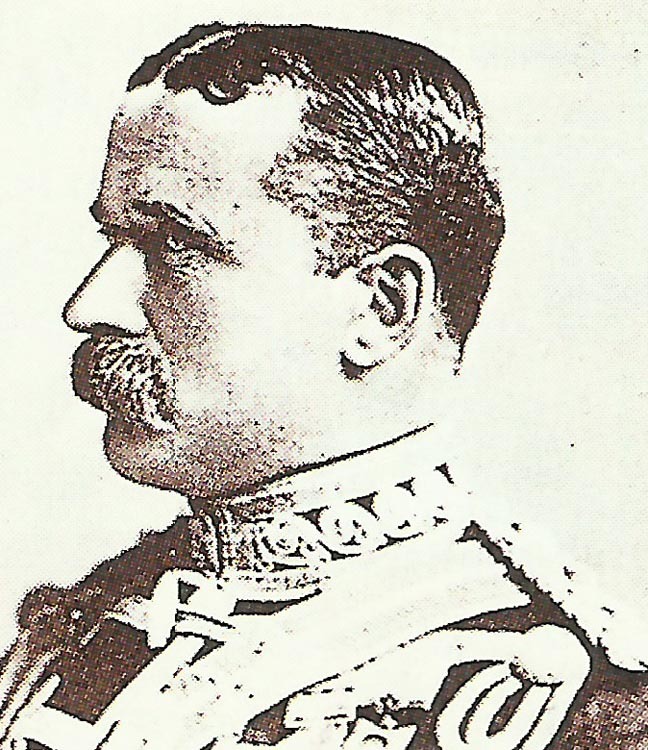 King George writes to Lord Stamfordham, his private secretary and confidante: ‘The troops here are all right but … several of the most important Generals have entirely lost confidence in the C-in-C (Field Marshal French) and they assured me that it was universal and that he must go, otherwise we shall never win this war. This has been my opinion for some time’. Cameroons: 750 French soldiers occupy Sende after strenuous opposed advance. North Sea: British destroyer Velox mined off Nab Lightship. Turkey: German Constantinople Ambassador Wangenheim dies from heart attack, Count W Metternich succeeds on October 30. South Africa: 1st Cape Corps begins recruiting coloureds.